Terry Vance has always been a problem for Chadwick Musselman, as well as for the rest of the school. When Terry gets held back a grade, Chadwick hopes that his nemesis will go away, but this is not the case. 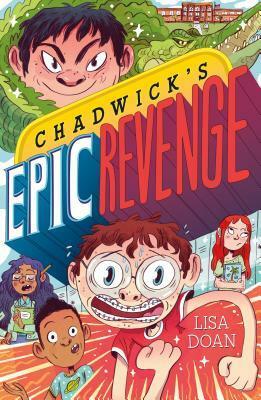 Terry even manages to get the sympathy of some of the 6th grade girls with stories about his father's disabilities, and most of Chadwick's friends don't quite believe him about Terry's capability for evil. His friend Rory(who is tremendously motivated by the junk food that is available at Chadwick's house) tries to help, but Terry manages to manipulate people into doing and saying odd things. The principal, Mr. Samson, is trying to get all of the students in the school to communicate more effectively by means of scheduled "rap sessions", but all that really comes of those is that we are amused by how sad Ms. Samson's own life is! Chadwick tries to stop the rumor mill by running an editorial in the school paper, but his friends still don't believe him. The mind games, which also sucked in the former principal, continue through the school dance. Will Chadwick finally be able to break himself free of Terry's control over him? Strengths: First of all, I loved the reason that Terry tortured Chadwick. Let's just say that the kid who took my purple crayon in the third grade did not get the job he applied for at Chick-fil-A years later. Hey! My boss asked. Kid was mean! This had a lot of funny, realistic middle school moments and moved quickly. There are some internal illustrations, which always helps to sell this sort of book. Weaknesses: The cover is not very appealing, and some of the situations are over the top in an unpleasant way. What I really think: I will probably buy a copy because it's so hard to find good, realistic, goofy books, but it will take a lot of hand selling because of the cover. Don't have this series? If you have a lot readers who like baseball books, these are a great, quick pick. A little preachy, but all very well intentioned. I think there are going to be nine altogether, and I will no doubt buy them all! This was fun- Derek goes to spend the summer with his grandparents in New Jersey and gets to hang out with his cousins and extended family. He also has to WORK to earn tickets to a baseball game in New York City and learns to appreciate how much his grandparents and parents do to keep the family afloat. 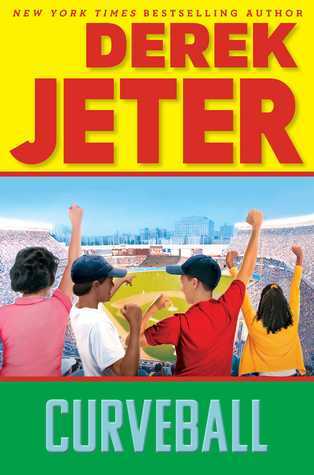 Lots of baseball, a little didactic, but a great read for students who love baseball.